At Maihaugen's Christmas Market you can experience the good old Christmas feeling. 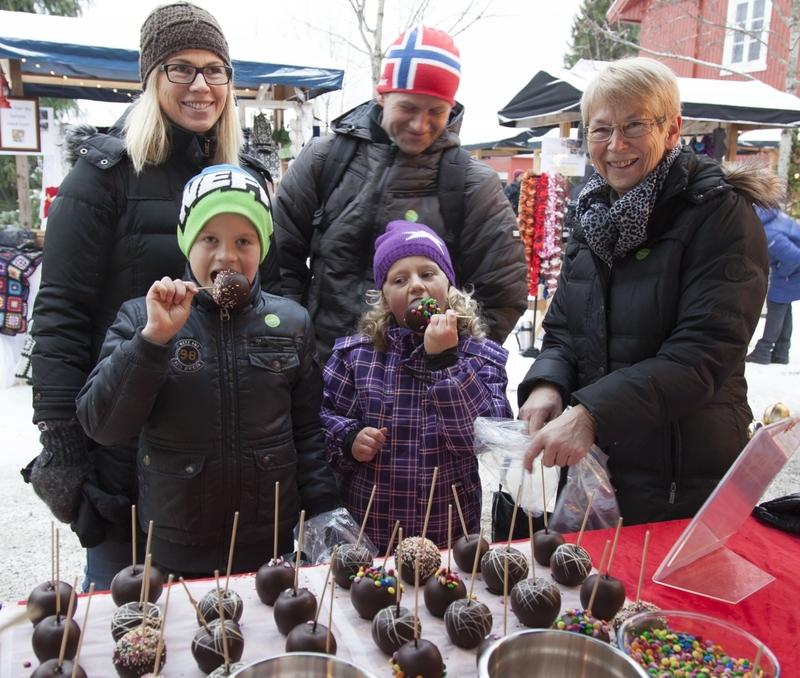 Maihaugen's Christmas Market takes place during the first weekend of Advent and thousands of visitors come to Lillehammer. Maihaugen's Christmas Market is something special. In addition to a traditional Christmas market with lots of tasty treats and beautiful things to buy, there are all the historical houses decorated for Christmas like in the old days. 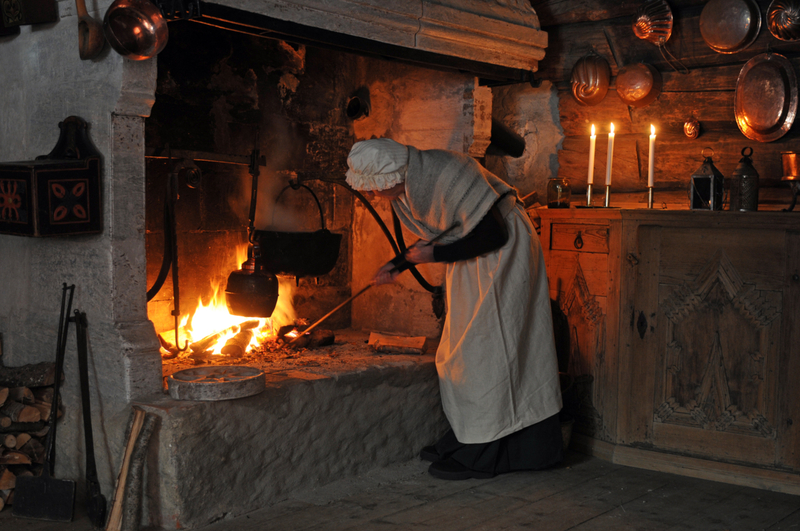 Step inside an open-hearth house and experience how Christmas was like in the Middle Ages. Or visit the daughter in 1950s house decorating the Christmas tree with ornaments used at that time. Start the video (over) and get an impression of Maihaugen's Christmas market. We have an extensive programme of activities during the Christmas Market. You can take part in sleigh rides, horse riding, Christmas workshop, gingerbread baking and much more. Carol singers, candied almonds and burning fireplaces. Let your senses be filled with sights, sounds and scents, all to get you in the festive spirit just in time for Christmas. Also see: All the Christmas program at Maihaugen. There are a limited number of parking spots at Maihaugen. Please use our buses or walk to the museum. See map with bustops and parking lots nearby. Bus to Maihaugen from Stampesletta/Håkons Hall Saturday and Sunday 11.00-18.00. Busstop in Sigrid Undsets veg by roundabout. NOK 20,- each trip for adults over 16 years. Children free. Free parking by Stampesletta. Bus from the shopping centre Strandtorget by the bus/trainstation in Lillehammer to Maihaugen runs Saturday (not Sunday) 11.00–17.00. Departure every hour on the hour from Strandtorget from 11.00 (except 14.00). Return 30 minutes over the full hour from Maihaugen. Last bus at 16.30. NOK 20,- each trip fro adults over 16 years. Children free. Free parking at Strandtorget which is open until 18.00. Maihaugen does not have an ATM (minibank). All the sellers accept either card or payment by mobile telephones like Vipps, but you might want to bring cash. The museum shops accept cards. Tickets will be available in advance. More information will follow. 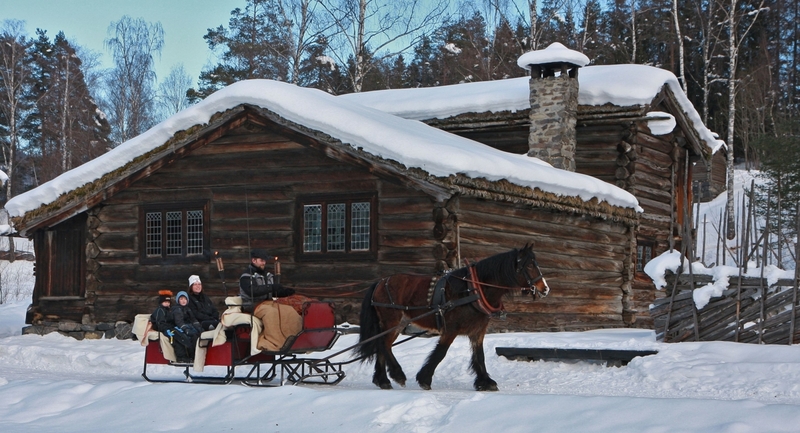 Sleigh rides in beautiful surroundings. Photo: Jørgen Skaug.